On our last night in Mammoth Lakes earlier this year with the family, we stopped into the Mammoth Tavern. We ate some of the tastiest food of our whole trip including an appetizer of Brussels Sprouts with Smoky Maple Aioli that Luke and I have been talking about since we got home. 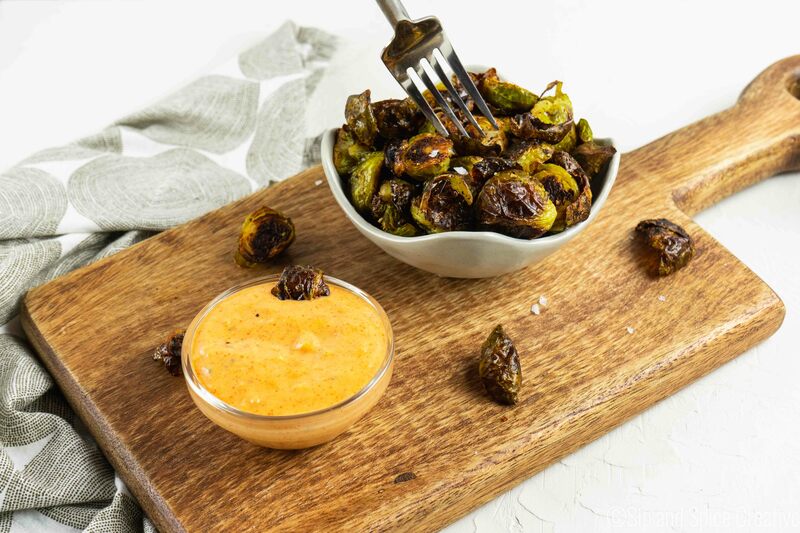 These Crispy Brussels Sprouts with Smoked Paprika Aioli are our best shot at re-creating this divine dish. One of the most important takeaways for me from our trip was how necessary time away is to get those creative juices flowing. Between simply taking a break from the day-to-day to all the eating out, reading menus, tasting new things, experiencing new places and a whole bunch of time in the car, there’s nothing more powerful to restart that creative engine. I left home totally uninspired and came home with a few dozen recipe ideas and photography sets that I was dying to try! The highlight of this recipe is really the Smoked Paprika Maple Aioli. It’s a lovely balanced dipping sauce that’s made from ingredients that you likely have on hand. If you don’t keep smoked paprika in the cabinet and maple syrup in the fridge, I highly suggest you start to… they’re some of the staples that I can’t live without! And the brussels sprouts get crispy not from frying (though I’m pretty sure that’s how Mammoth Tavern did theirs), but from a good drizzle of olive oil and roasting in a hot oven until just starting to blacken a touch. That’s when you know they’re perfect. 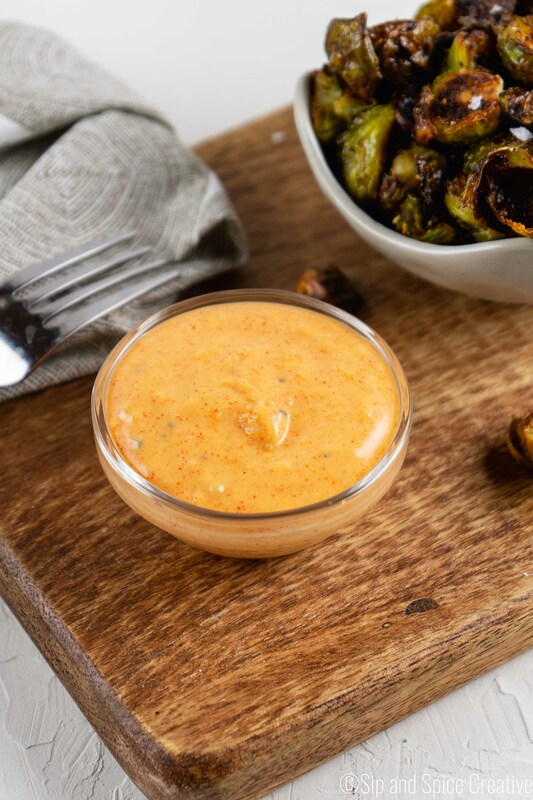 Double the Smoked Paprika Maple Aioli recipe for all your other sandwich slathering, french fry dipping, snacking needs throughout the rest of the week! 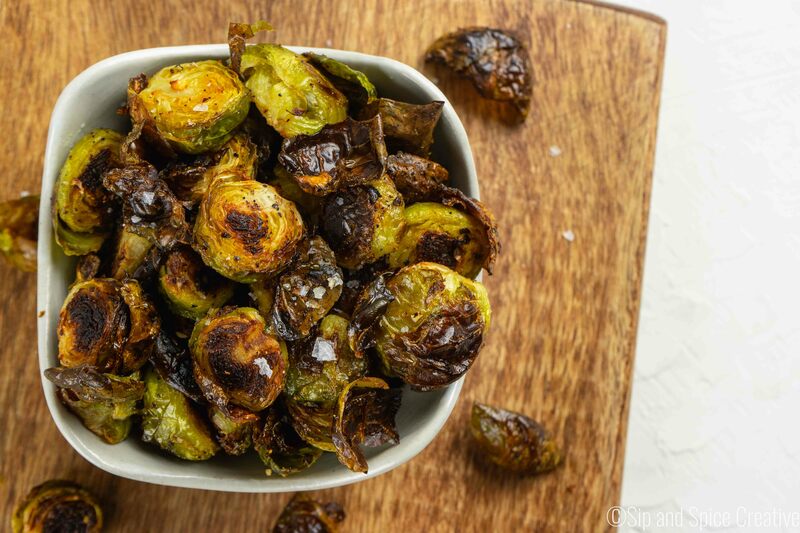 Preheat the oven to 425 F. Prepare the brussels by rinsing, removing the stem and cutting in half. Spread them out on a sheet pan and drizzle with olive oil and a sprinkle of salt and pepper. Roast for 25-30 minutes until crispy and browned. In the meantime, grab a small bowl. Combine the mayo, maple syrup, smoked paprika, minced garlic, lemon juice, salt and pepper. Mix and set aside until brussels sprouts are roasted. 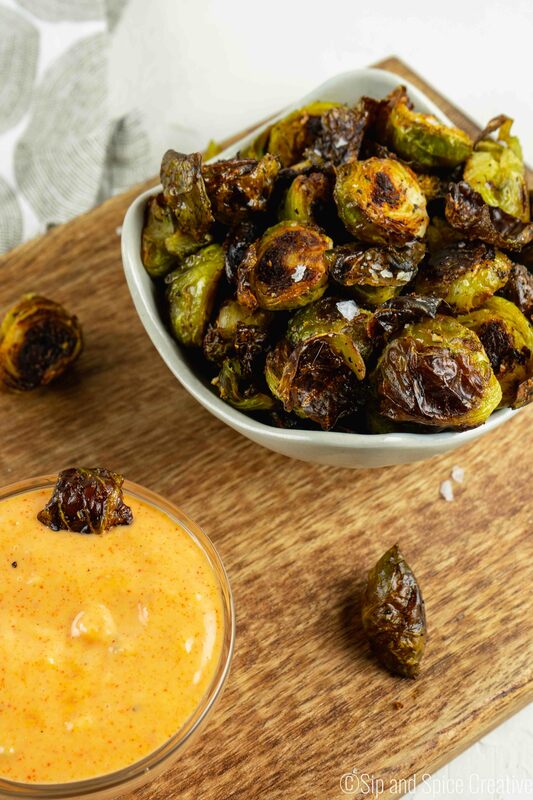 Serve the crispy brussels sprouts with the aioli on the side.